DONJI KARIN is peaceful resort, ideal for rest and beach activities. Its tourist village of app 300 houses, placed in pine and oak tree surroundings, which with mixture of Mediterranean and continental climate provides sense of clean and natural environment. Bay called KARIN SEA is an area of nice beaches perfect for children (mild approach, shallow, warm and clean water, a lot of shades, provided by pine trees). Next to the beach is an area of curative mud which some people apply and, as they say, it significantly helps in healing rheumatic deceases and traumatic injuries. In the range of 30 km are ZADAR, PAKOŠTANE, NIN, ZATON, BIOGRAD, KRKA WATERFALLS, NATIONAL PARK PAKLENICA, ZRMANJA RIVER CANYON… beautiful excursions targets. Highway distance only 15 km. International Airport(Zadar-Zemunik) is only 20 km away. In this sort of environment are placed NINA APARTMENTS. Only 70 m from the beach and with wonderful sea and mountain Velebit view provides perfect ambiance . 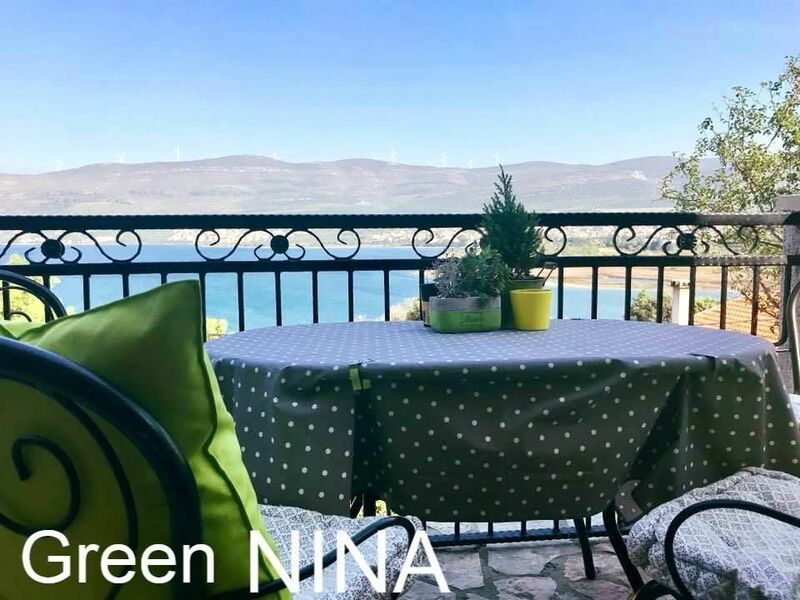 Two almost identical apartments: GREEN and BLUE are size of 40 m2; each consists of sleeping room, bathroom, living-room with well equipped kitchen and terrace. Each apartment has separate entrance, WI-FI, Air-cond., Sat TV, dishwasher, parking, sea view and sea side. Fire place for barbecue is placed in back yard and it is available for all guests as well as washing machine. - Pet: per pet and day according to consumption (Mandatory).